Eating enough vegetables is one of the most powerful, protective lifestyle choices you can make each day. 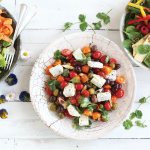 5 or more servings of fruit and vegetables every day is a minimum recommendation,associatedwith reduced risk of lifestyle diseases, including cardiovascular disease and cancer. It is a great way ensure adequate micronutrient intake and to boost your levels of antioxidants. Since fruit contains quite a lot of carbohydrates in the form of natural fruit sugars, it is a good idea to limit fruit intake to 2-3 servings per day, in order to manage blood glucose levels and overall energy intake. That means we need to make up the rest or our requirements with relatively low-calorie and low-carbohydrate vegetables for optimum nutrition. I like to encourage my patients to eat at least two cups of vegetables every day, over and above their 2-3 fruit servings. Of course that can be done at lunch and dinner, and by snacking on things like carrots and celery between meals, but a fun way to start the day on the right foot is to find ways to include vegetables at breakfast time. 1) Add them to smoothies. 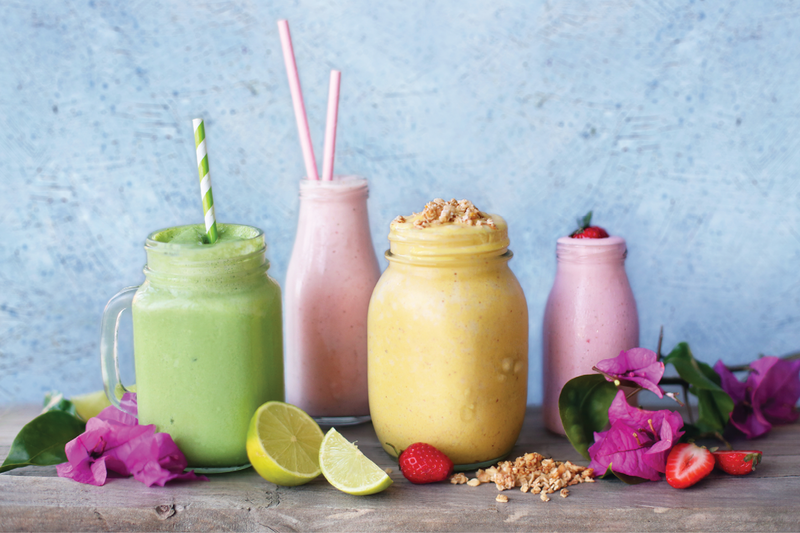 A good blender can break down vegetables in a morning smoothie, so there is no reason not to add a chunk of beetroot to a sweet berry smoothie, or a handful of baby spinach and a scoop of avocado to a mango and banana mix. 2) Omelettes, frittatas and egg muffins are delicious ways to eat vegetables at breakfast time. Simply whisk some eggs with a dash of milk, mix with any combination of vegetables you like (sautéed spinach, mushrooms and peppers; lightly steamed asparagus and green peas; raw spring onions and grated baby marrows), add a handful of grated cheese and fresh herbs and either cook on the stove and fold into an omelette, or pour everything together into a dish and bake in the oven. Tip: Bake these the night before to make the morning run a bit smoother. 3) Try a breakfast burrito with a wholewheat wrap folded around scrambled eggs, chopped tomatoes and onions, spinach and fresh herbs. 4) A tomato-based vegetable stew, like ratatouille is delicious with a poached egg. 5) For an extra protein boost, try ostrich or lean beef mince cooked with grated carrots and baby marrows, onions, mushrooms and lots of tomato – delicious with poached or scrambled eggs, and a healthier alternative to other breakfast meats, like bacon or sausages. Challenge yourself to get out of your breakfast comfort zone and see how you can add some vegetables to your first meal of the day.